Tips for moms to help with hundreds of everyday dilemmas. Moms! Before you pull out your hair or keel over from exhaustion...READ THIS PAGE! You're juggling many jobs--running a household, nurturing children, making a living. Many of you are caring for aging parents, finishing degrees, and volunteering in the community. You're striving to maintain physical, emotional, and spiritual balance, and find time for personal development. When you have questions, you need answers you can trust -- fast! Life is complex, but it can get simpler--and much more satisfying. Tips For Moms is here to provide you with the information you need to succeed at the most important job you'll ever have. Here you will find real solutions to frequently asked questions plus hundreds of ways to make every day easier. Tips For Moms will help you transfer management skills and strategies you already know to the business of running your home and personal life. Key Concept: Use the same skills and strategies successful business managers use -- delegation, team-building, forecasting and SOPs -- to create a smoothly running home. 1. Know your job description. What are your core values? What's most important to you? When your children leave home, what memories do you want them to take with them? Knowing the answers to these questions will give you a yardstick against which to measure the many decisions you make daily. 4. Manage according to how you're wired. Each person has a unique operating style - a certain energizing way of managing and accomplishing things. When we work in harmony with our design, instead of trying to be like someone else, we can better manage our home and personal life. 5. Use a Daily Hit List. Selectively choosing each day what you will Do, Delete, and Delegate will help alleviate the stress and panic caused by excessive demands on your time and energy. 6. Practice team-building and delegate wisely. All good management is about sharing responsibility, helping each person find their niche, and empowering them to succeed. Assign household tasks according to age and skill level, strengths and weaknesses, and time availability. Every organization has issues and conflicts. Just as in business, families must learn to communicate their feelings and preferences in healthy ways and negotiate their way to fair solutions and mutually agreed upon expectations. 8. Create SOPs (Standard Operating Procedures). Routines are essential to every successful organization. Everyone needs to know who is responsible for what, what the freedoms and restrictions are, and how to follow through on an assignment. The hundreds of tasks, large and small, required to keep life running can usually be fitted into routines that keep you from having to reinvent the wheel every time the garbage needs to go out. 9. Manage time and resources. Family Manager® strategies such as the 5-Minute Maxim, Bartering, and Advance Work, will help you increase productivity, reduce stress, and create more time for things you enjoy. 10. Be committed to your own personal life support system. Know your "no-matter-whats"--the daily routines and personal habits that you never skip--even when life falls apart. 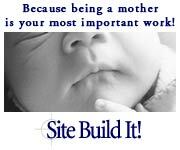 Tips For Moms goal is to be THE website that you can connect with and rely upon regularly that will help you reach your goals and live by your priorities. As well as offering tools and inspiration for living well and becoming your personal best as a woman, wife, mother and professional. New articles, tips, ideas, and resources are added to Tips For Moms on a weekly basis, so please subscribe to the FREE montly newsletter, Tips For Moms Newz (worth $35.99). It tells you about new information that has been added each month as well as, more mom tips, special offers, informative reviews, fun crafts and yummy recipes that will help you be able to say "it's good to be home!". With this FREE subscription you will also receive instant access to the FREE Tips For Moms Guide To: How Home Skills Can Turn Into Income (worth $14.99) as well as a FREE download list of Family Manager® forms, charts and lists (worth $29.99) that will help you manage your home, family, and personal life more efficiently. I promise to use it only to send you Tips For Moms Newz. Three things that you did not know about your trash can.